This amazing new gadget is a real must for plaiting. 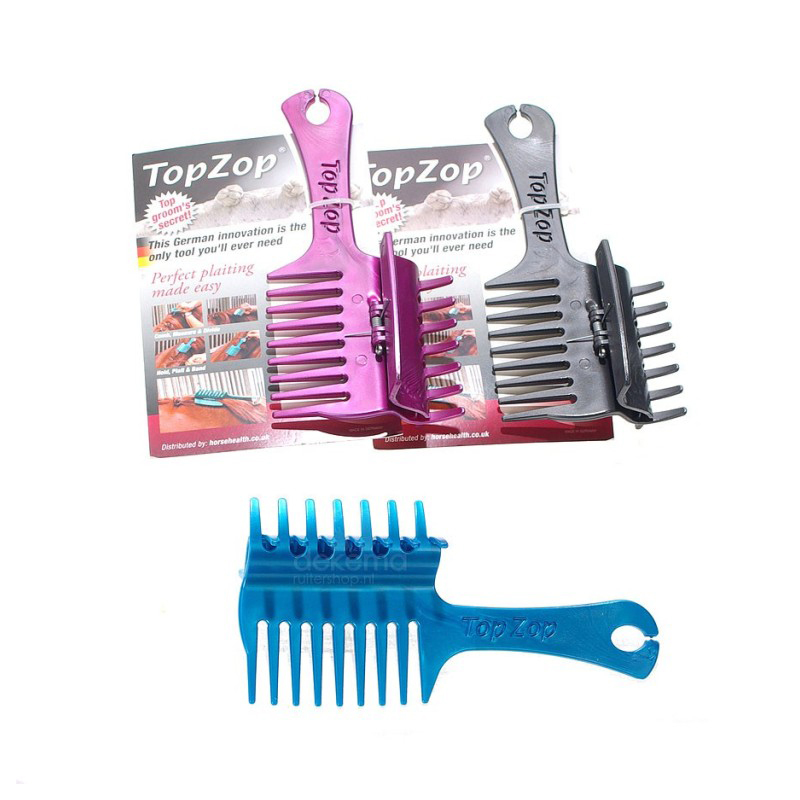 Its great function allows you to keep mane under control while you can concentrate on making your plaits neat. The comb is also great to measure each section of mane to get equal size plaits. The mane comb even has a clip and rubber band holder built in on the end of the comb so your hands are free to create the perfect plaits!